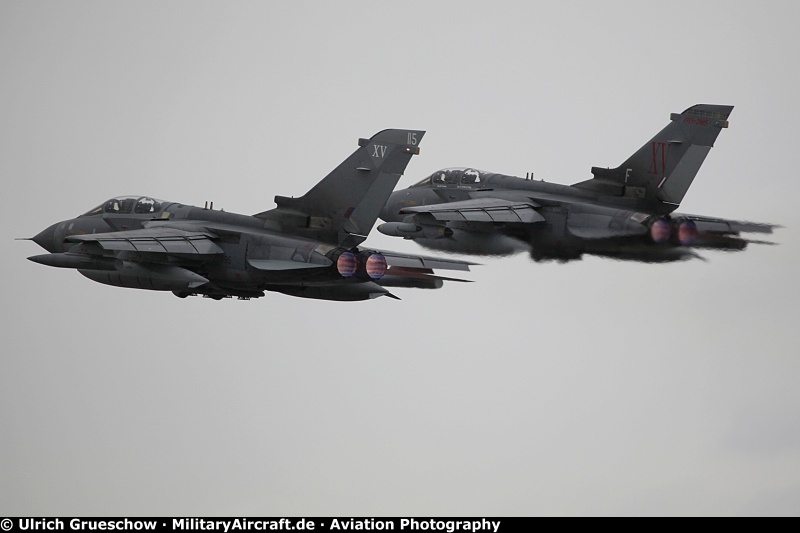 - special markings for celebrating the 100th anniversary of the air base: "1916 - 2016 RAF Marham"
Click here for other photos from this Flypast. 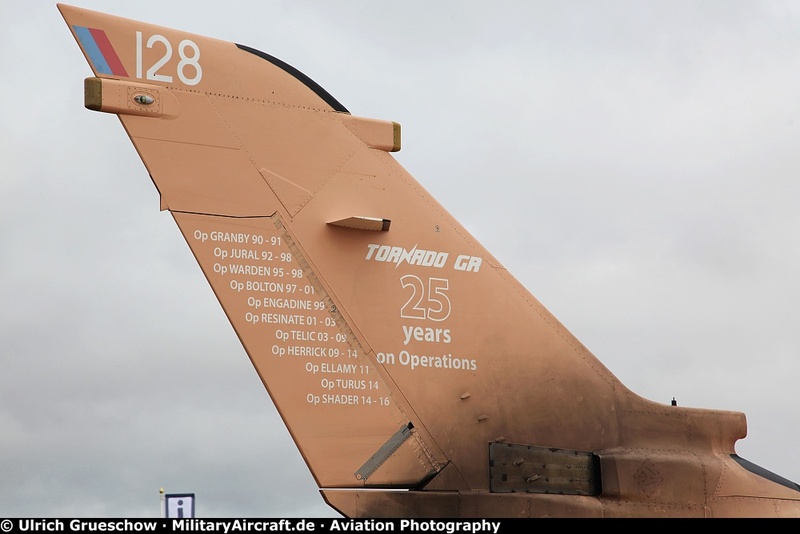 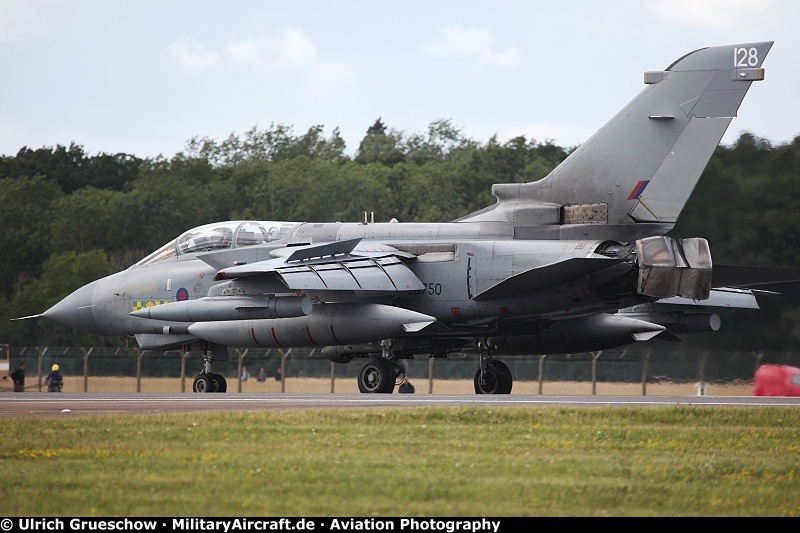 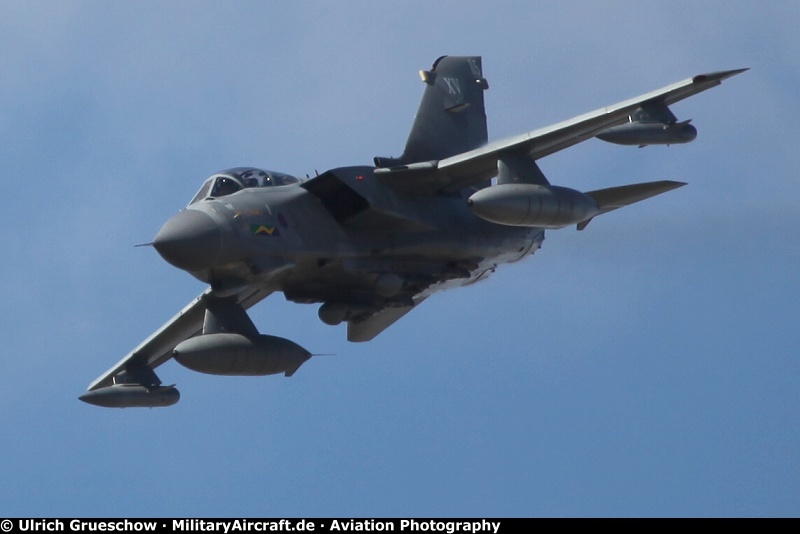 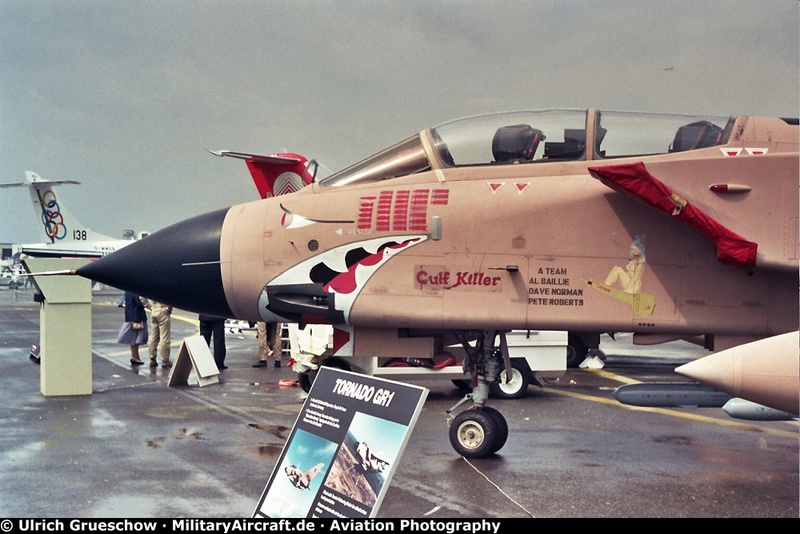 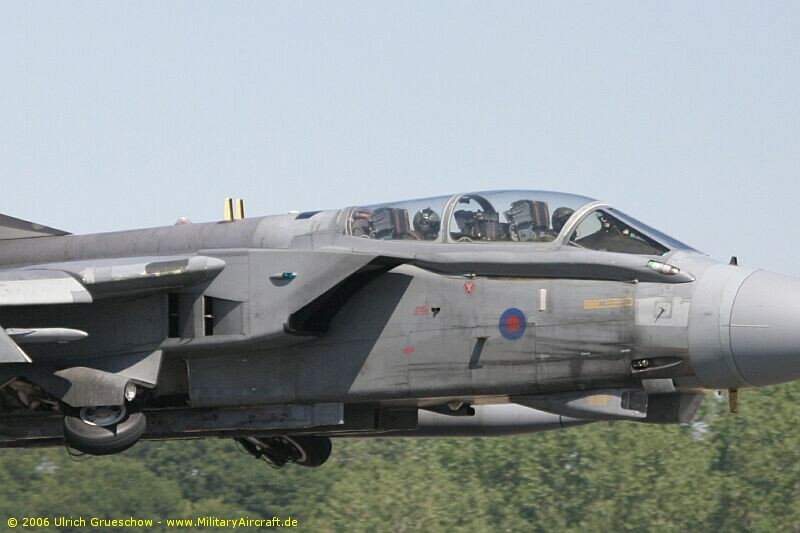 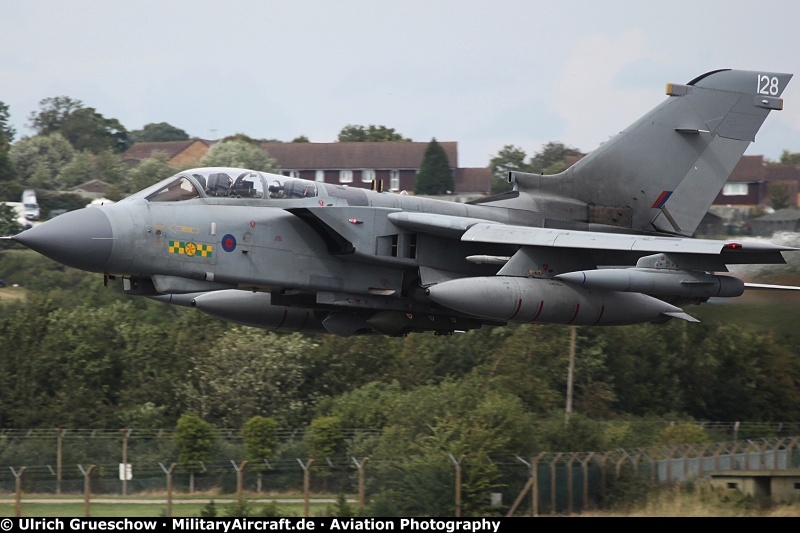 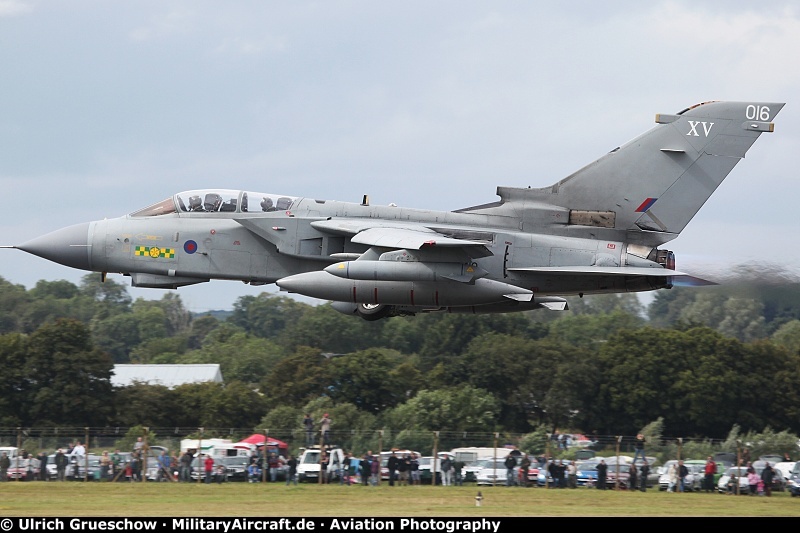 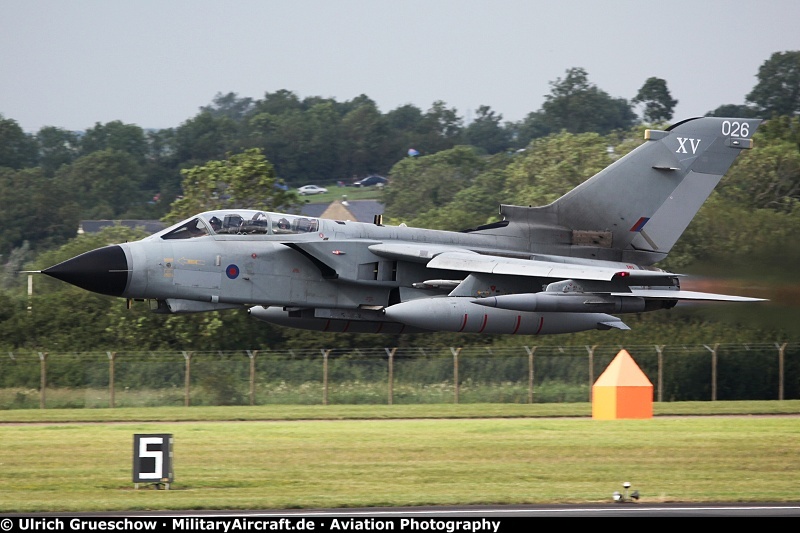 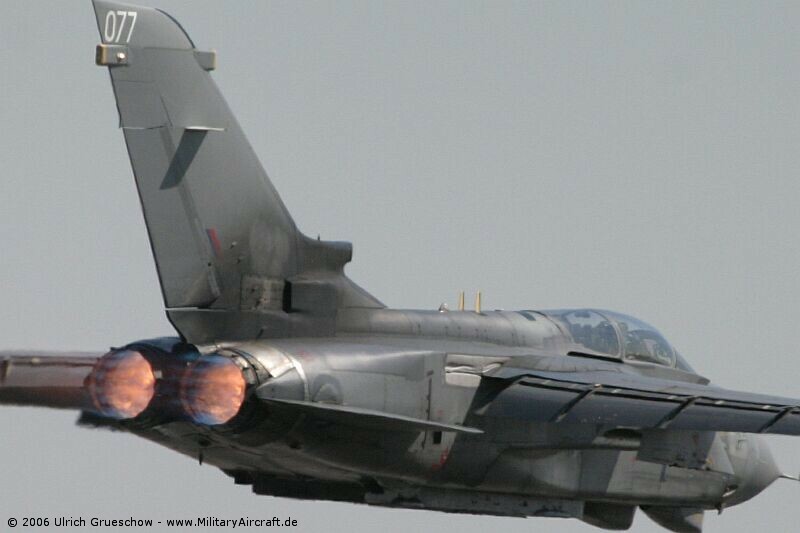 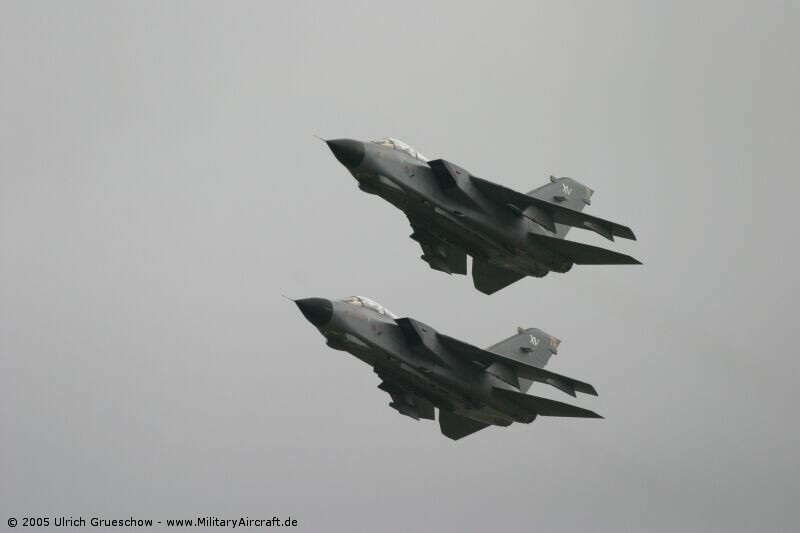 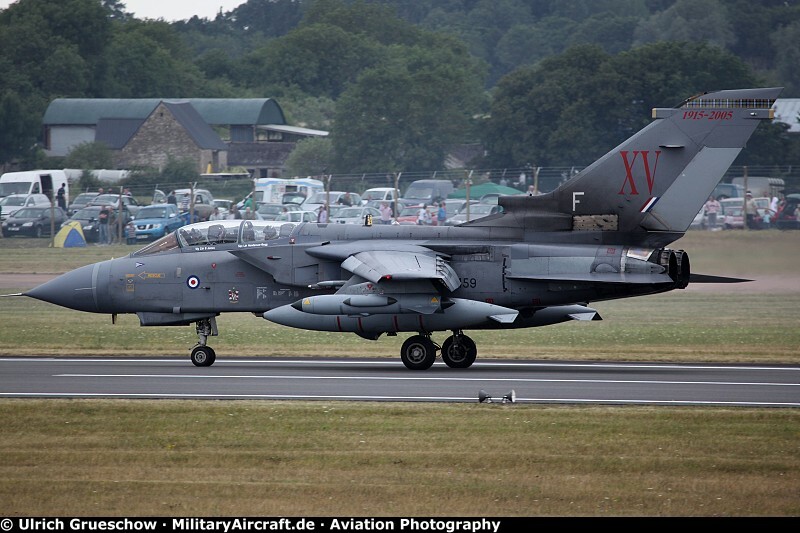 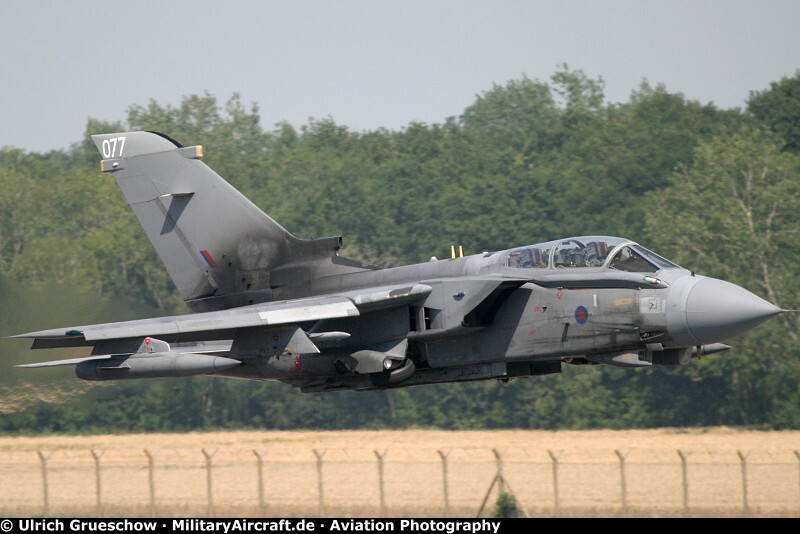 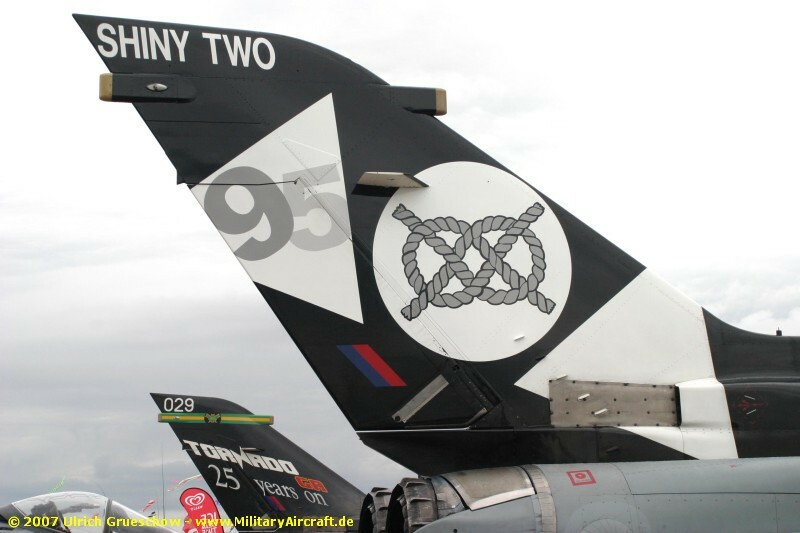 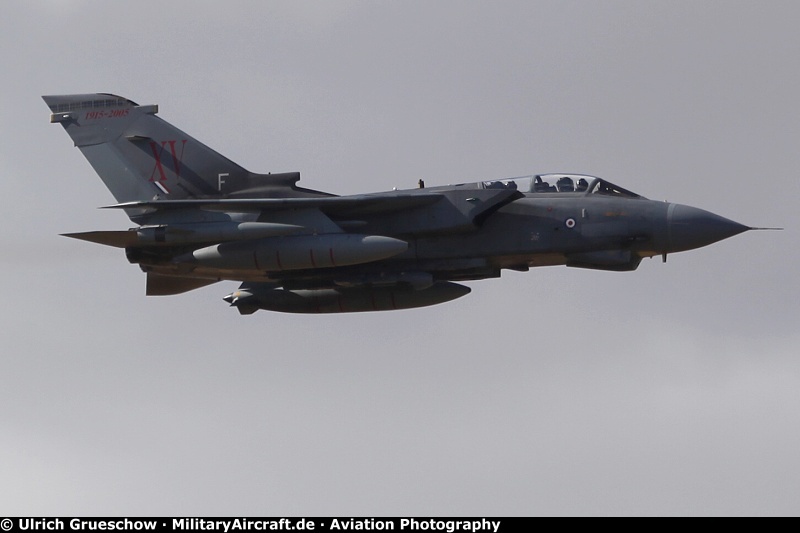 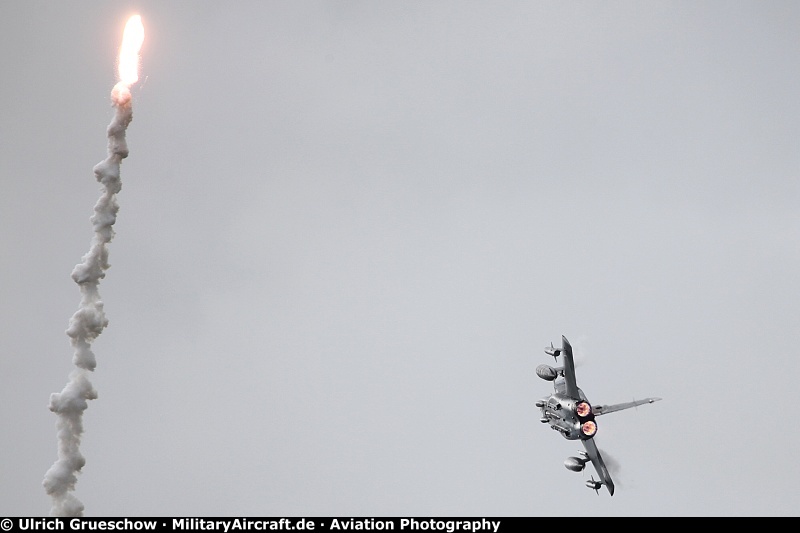 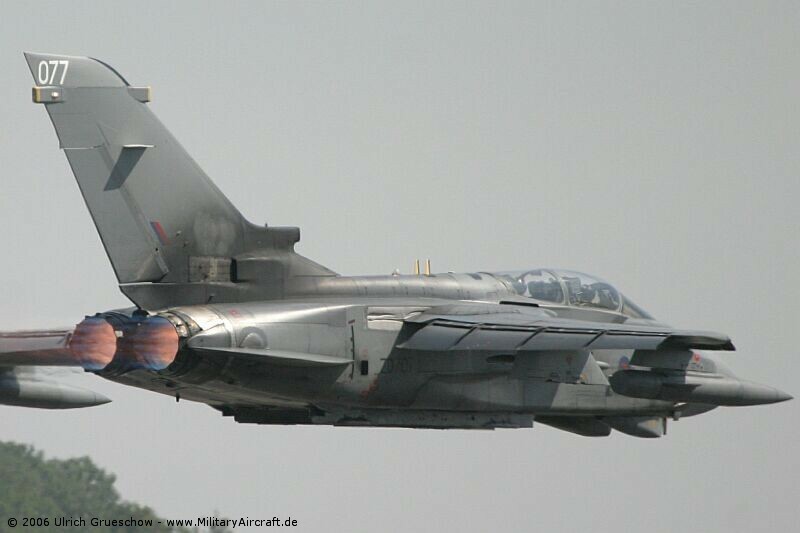 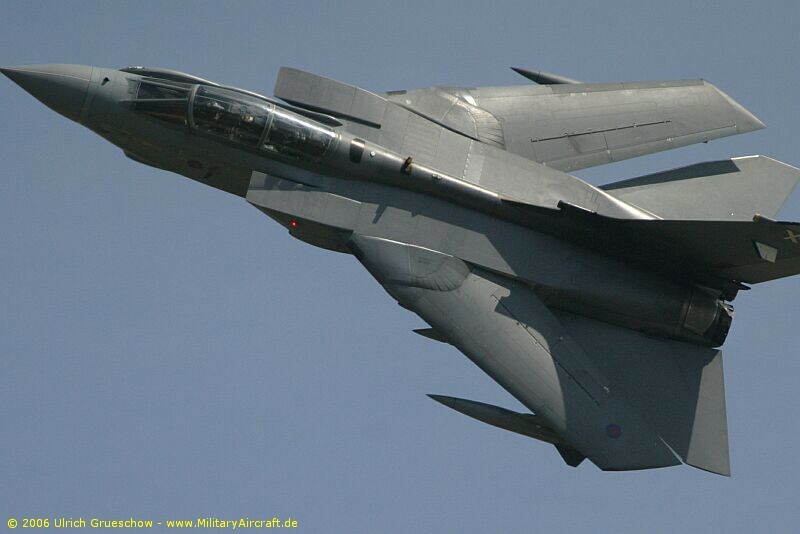 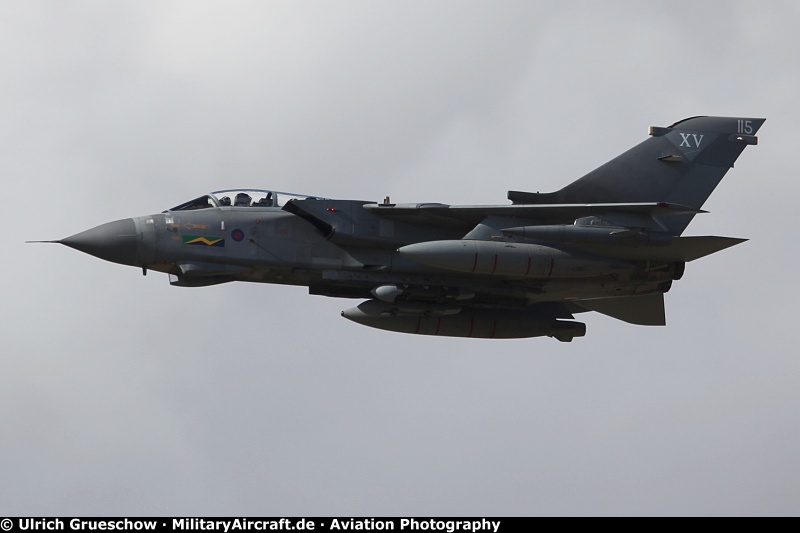 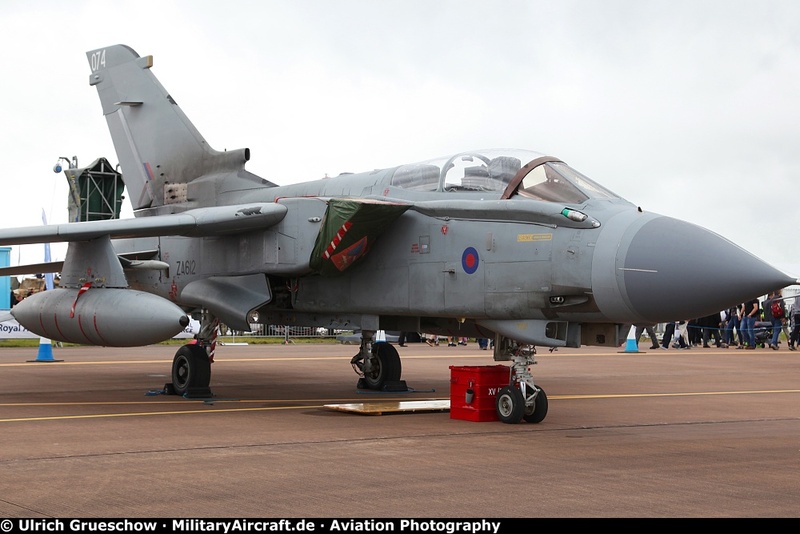 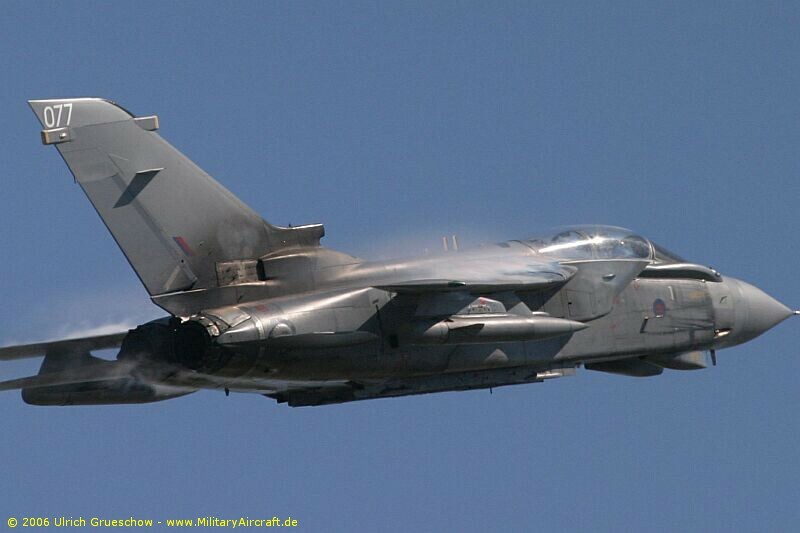 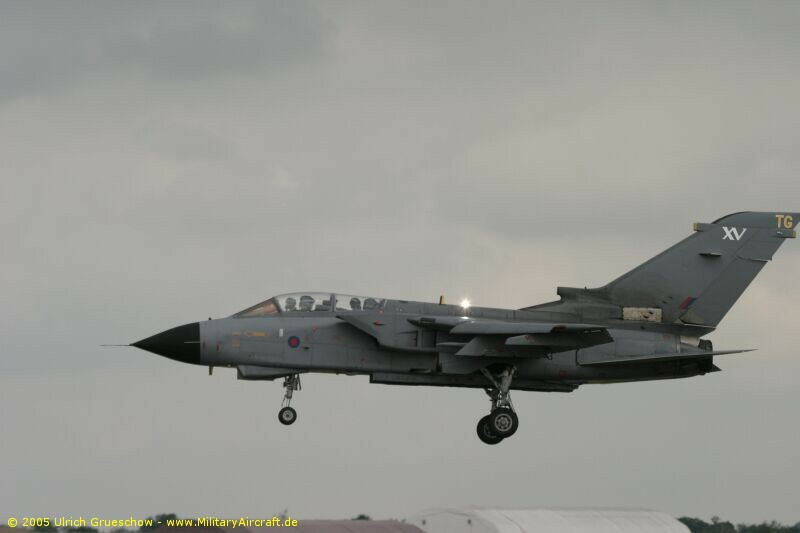 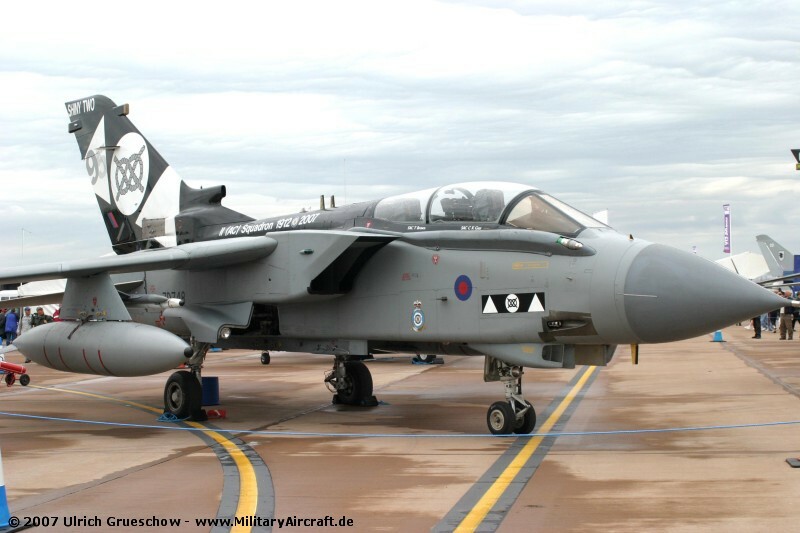 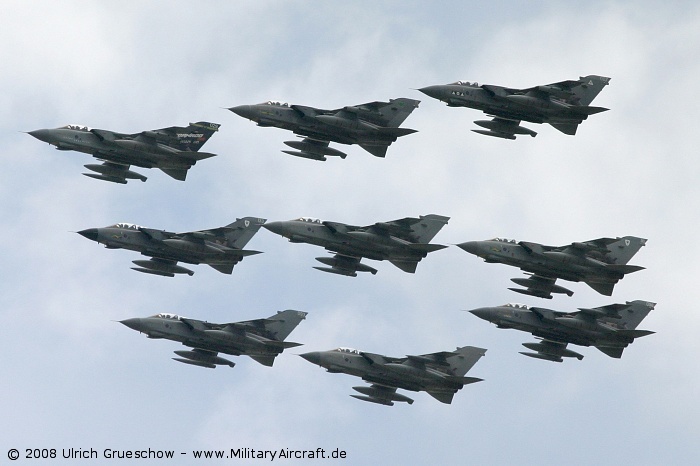 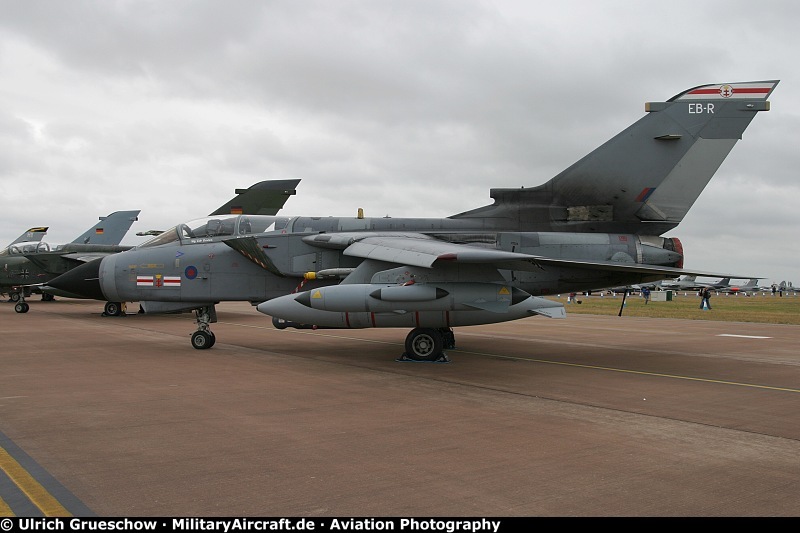 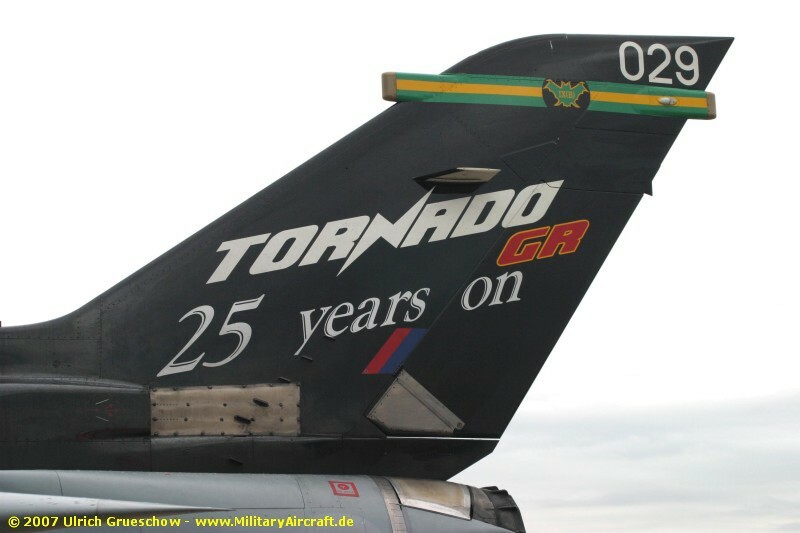 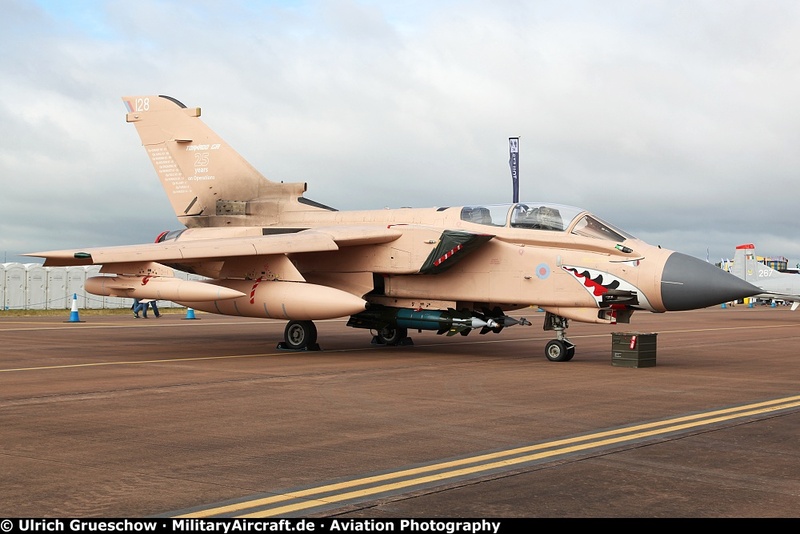 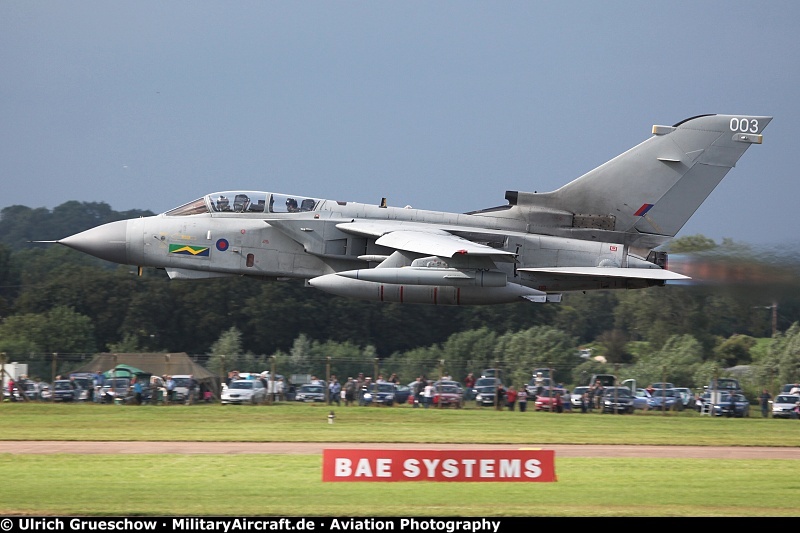 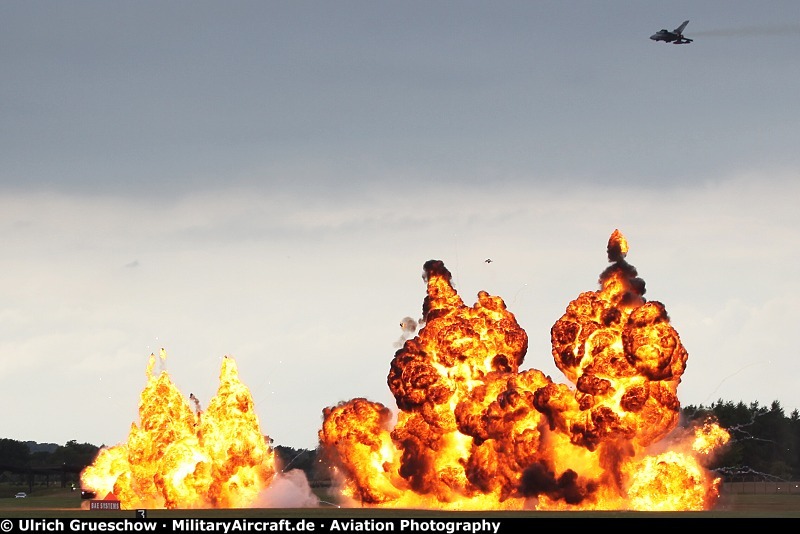 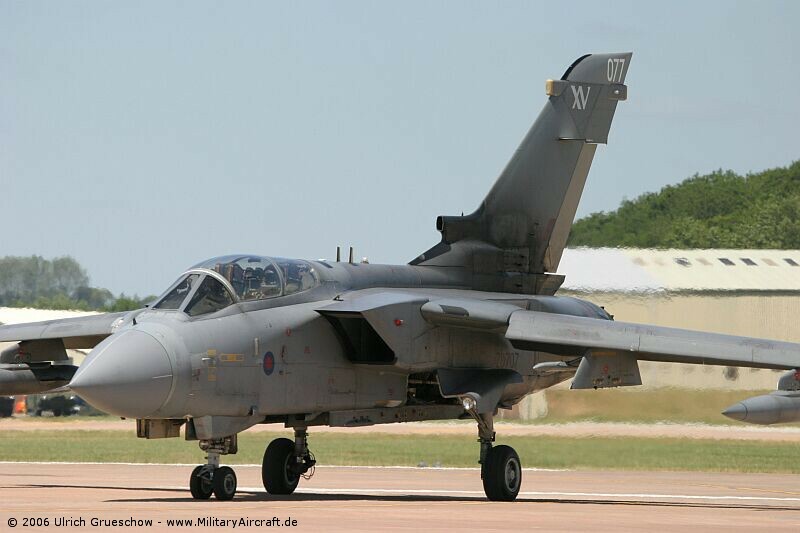 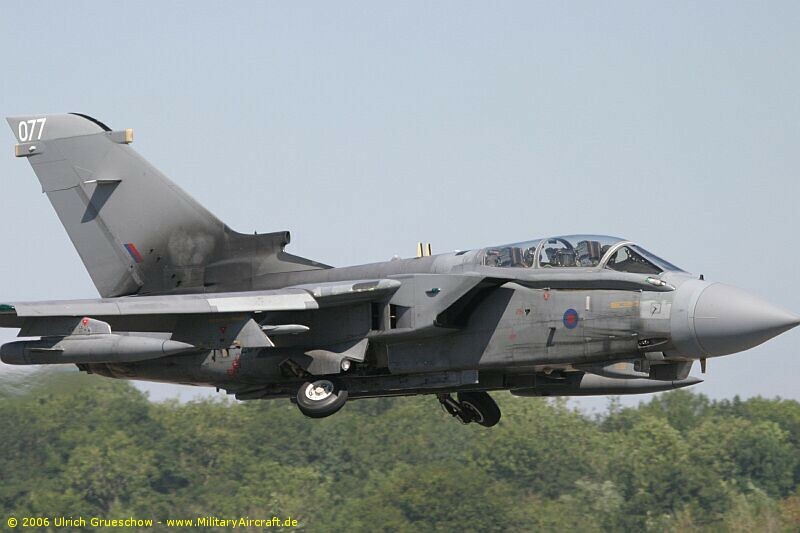 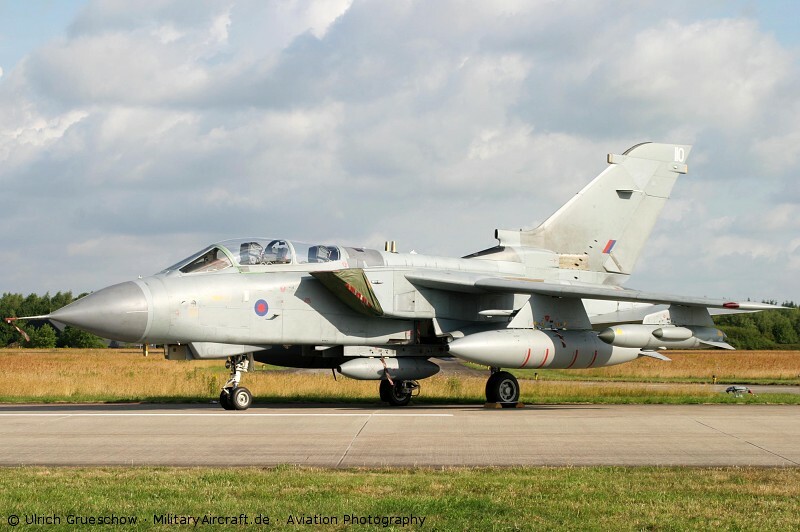 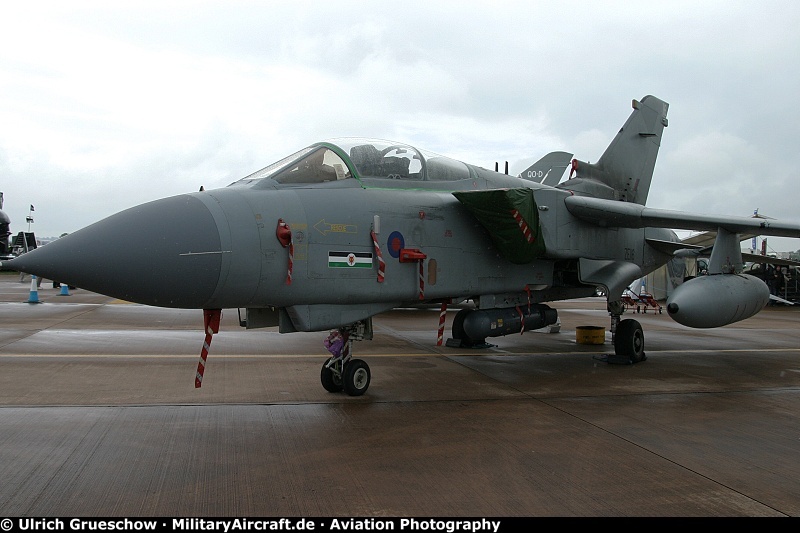 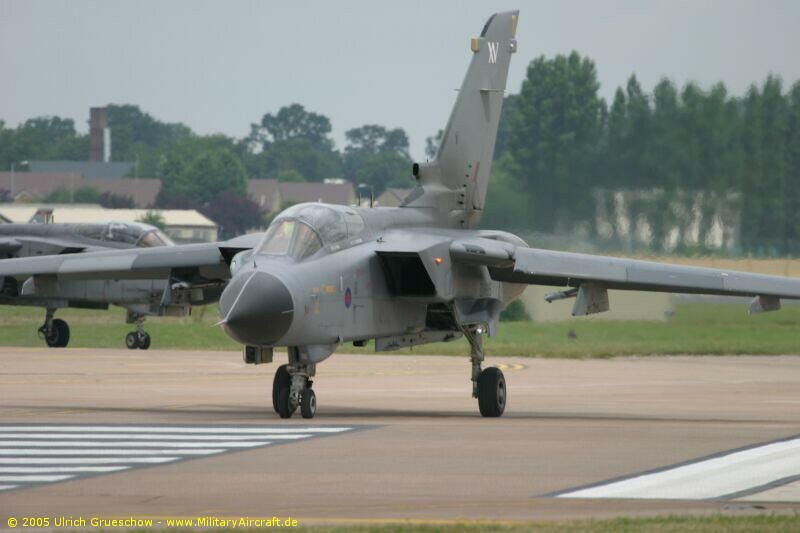 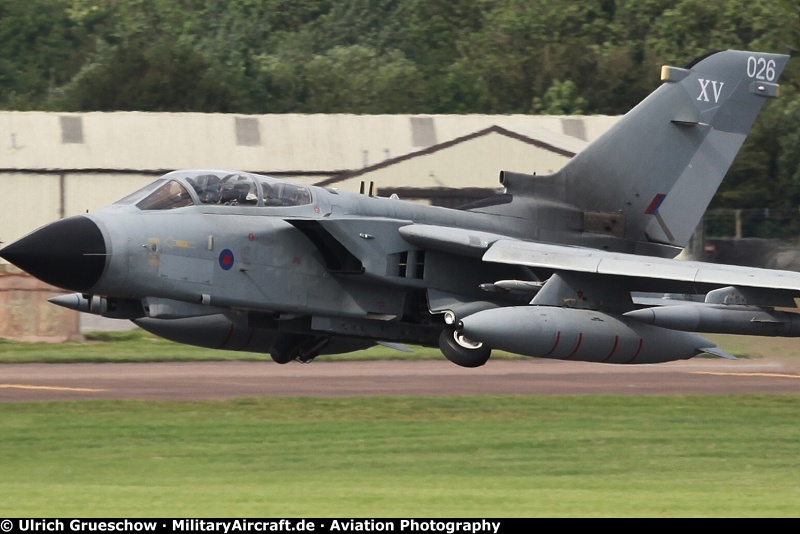 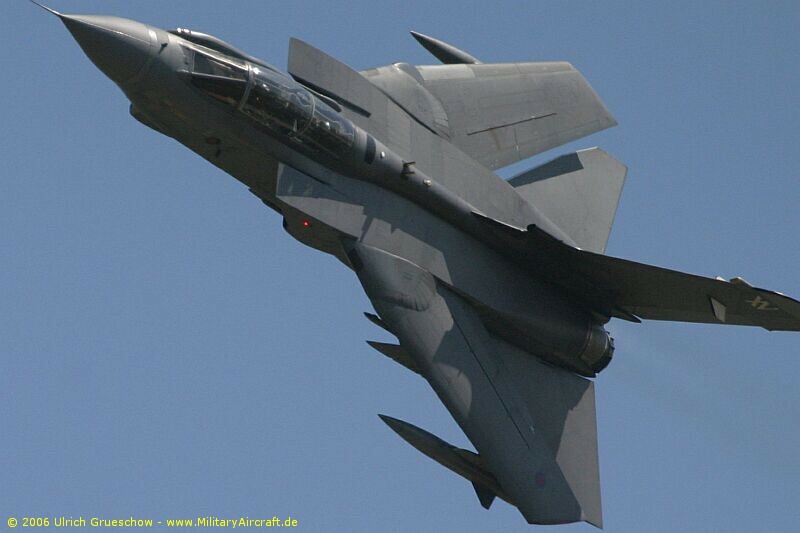 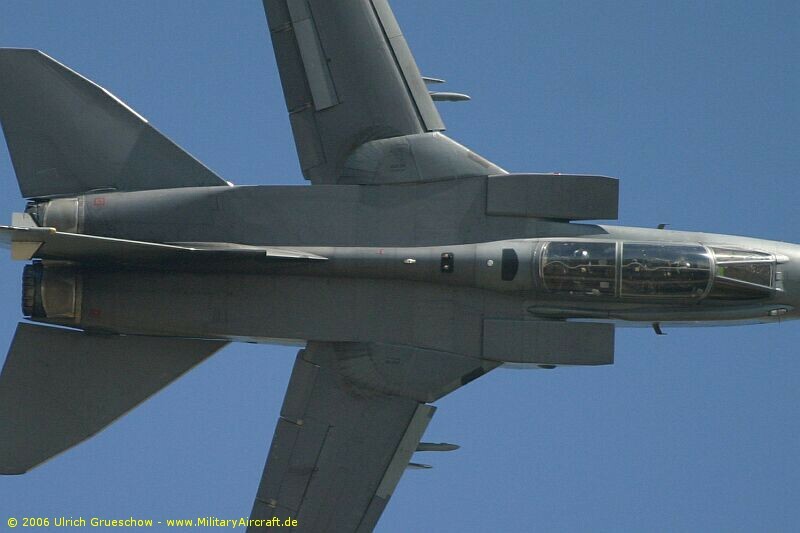 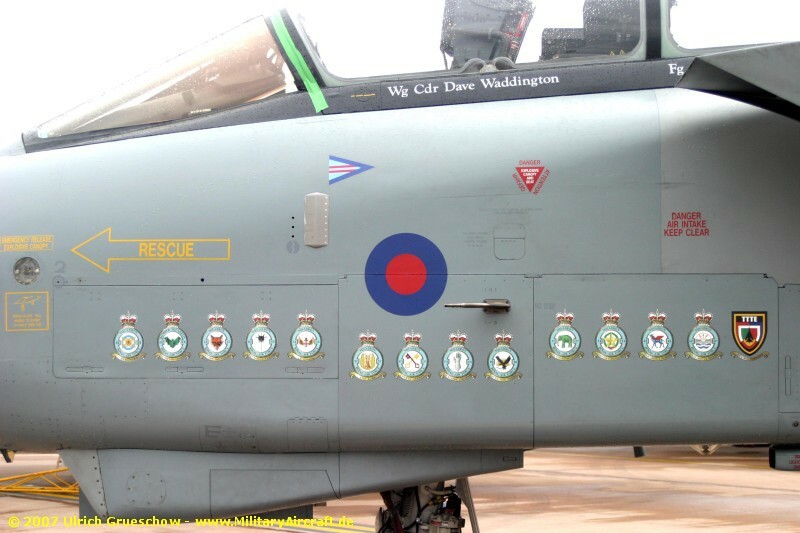 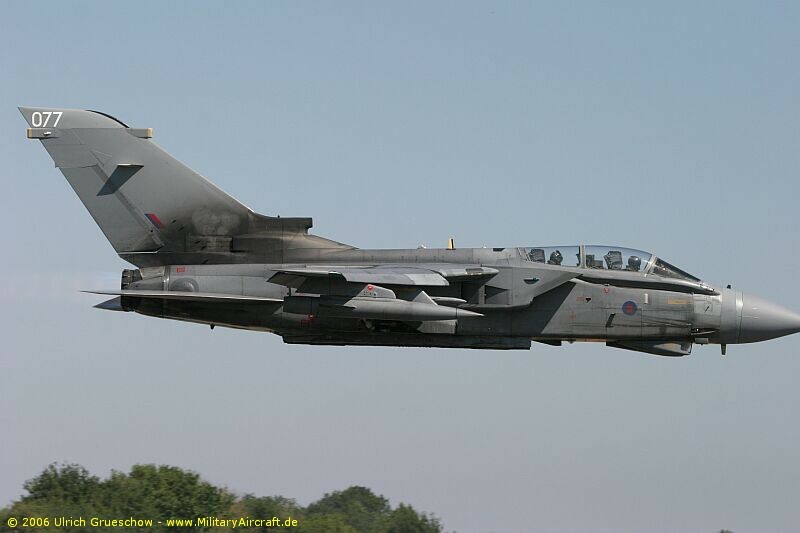 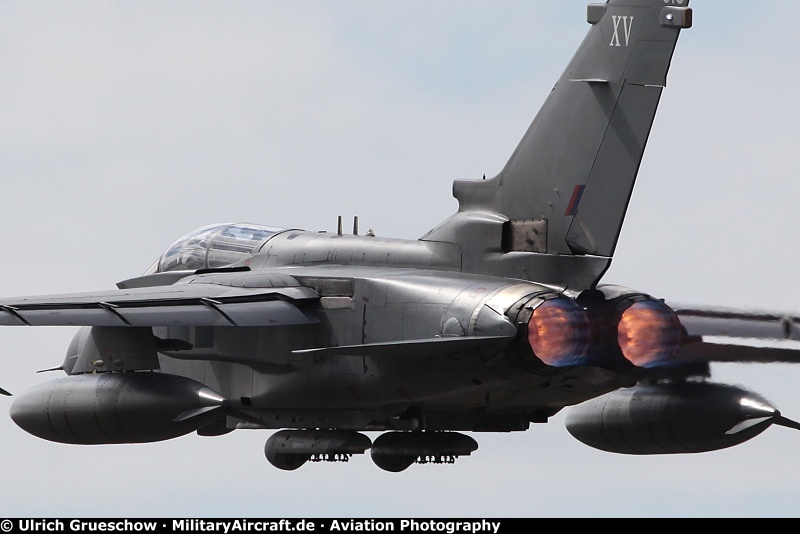 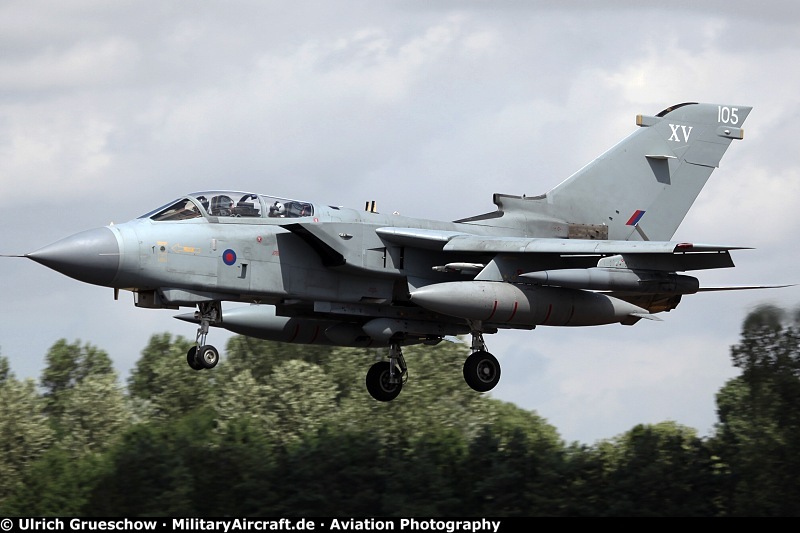 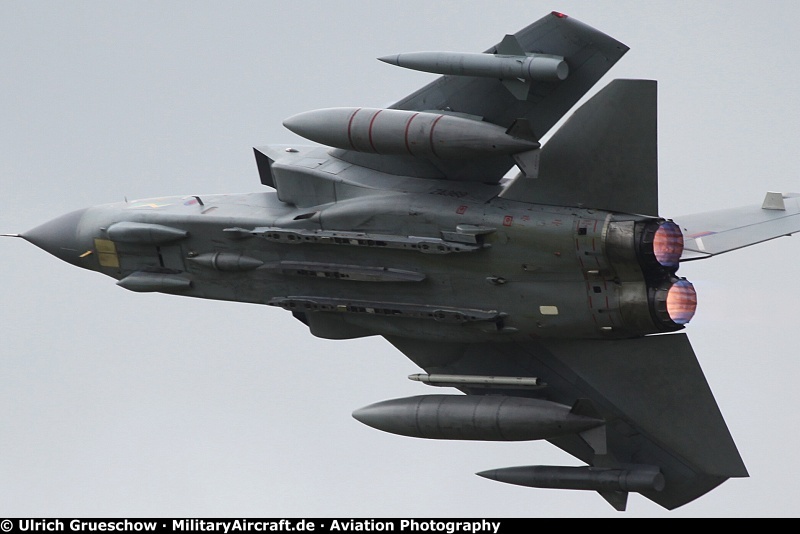 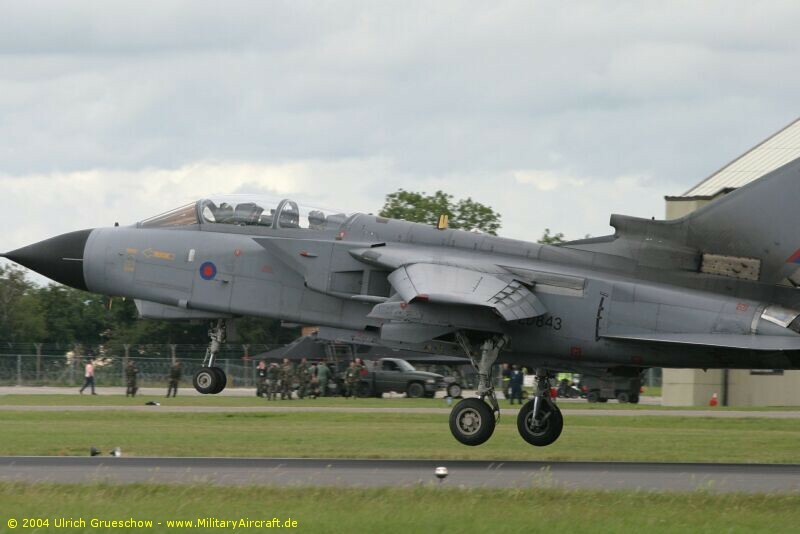 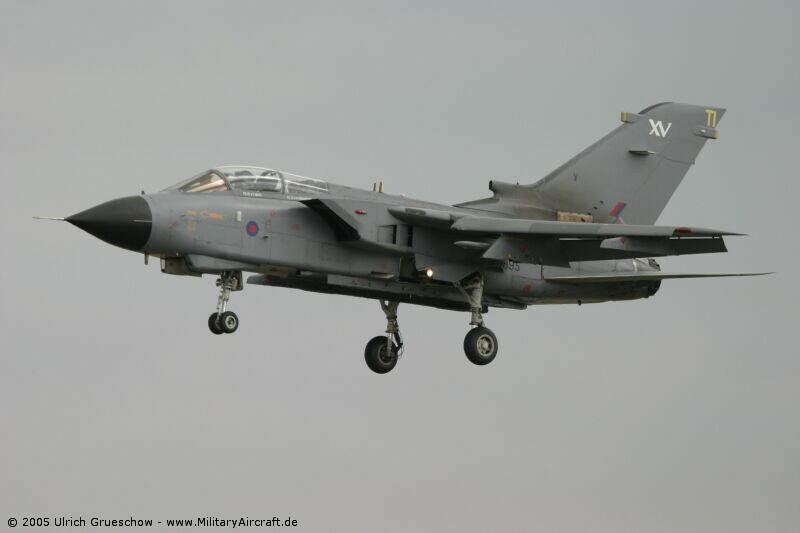 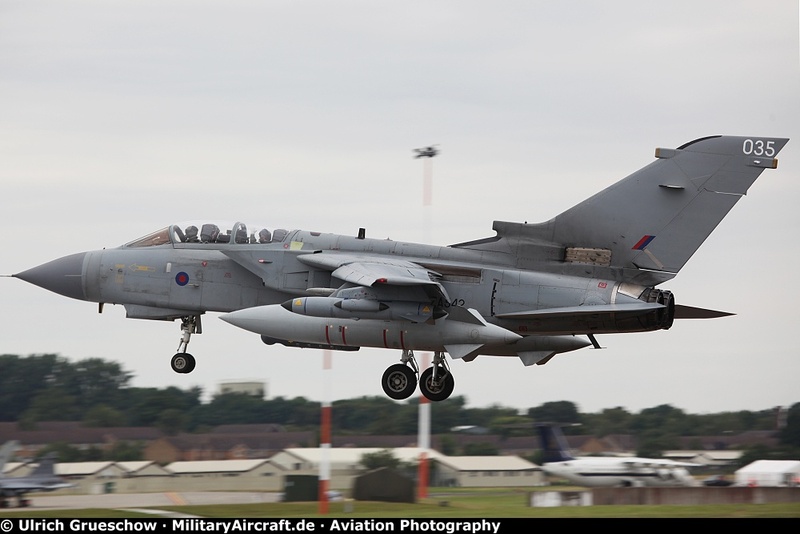 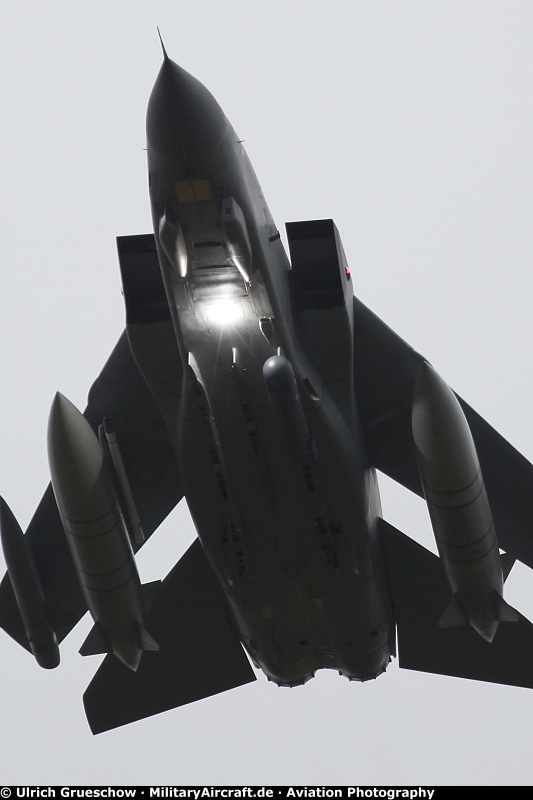 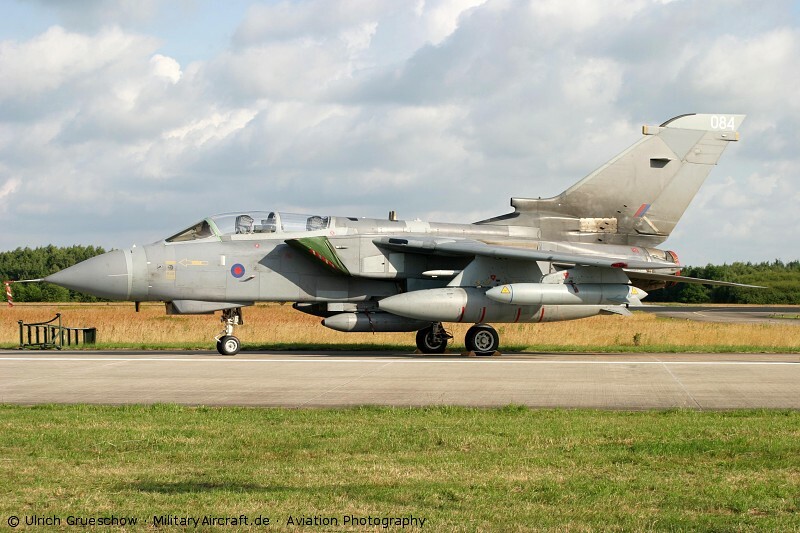 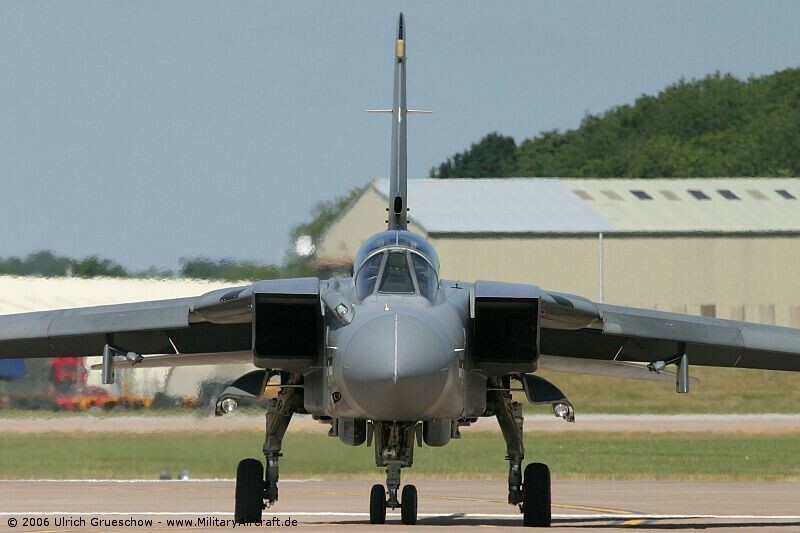 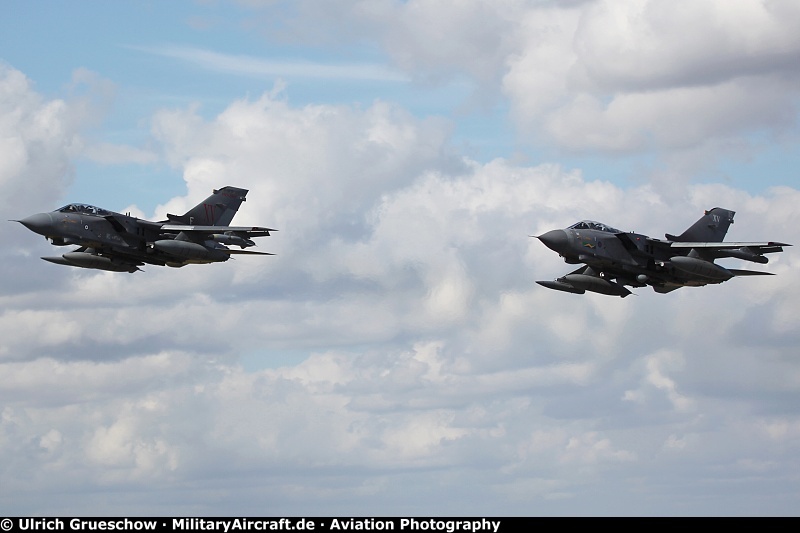 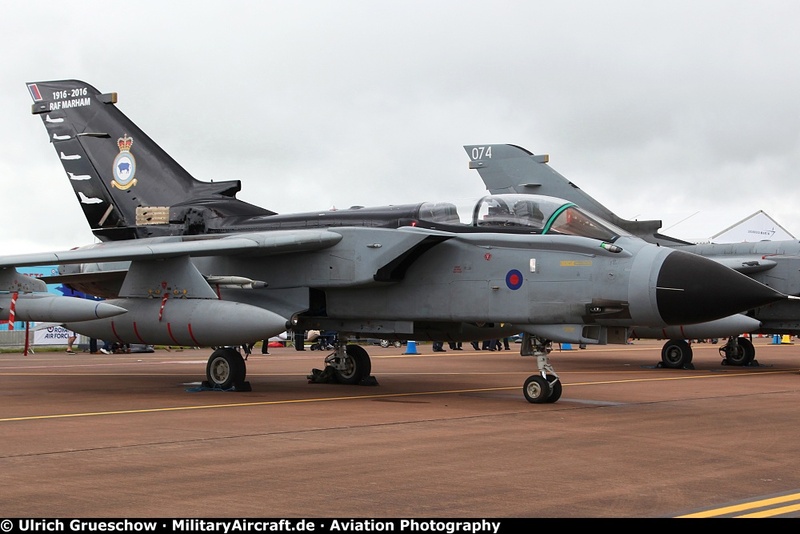 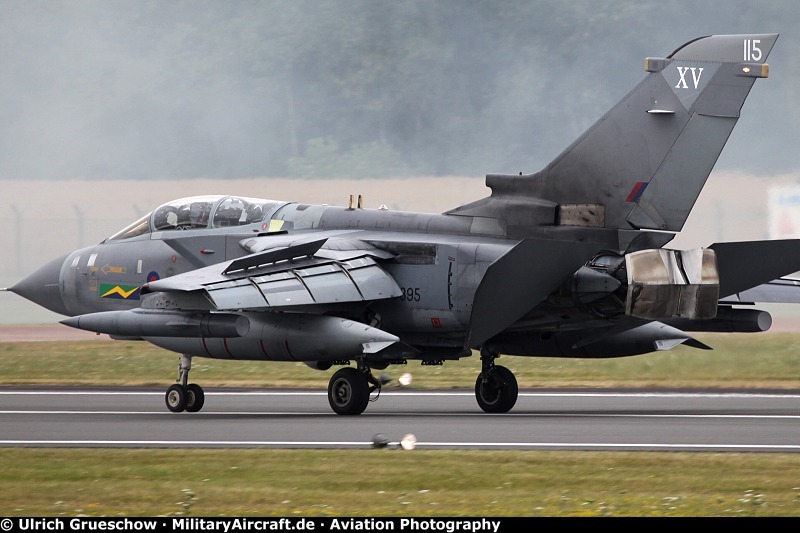 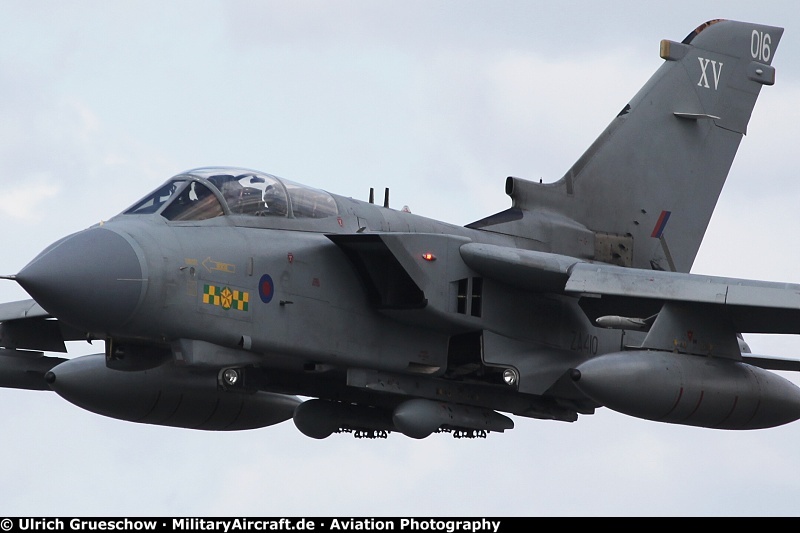 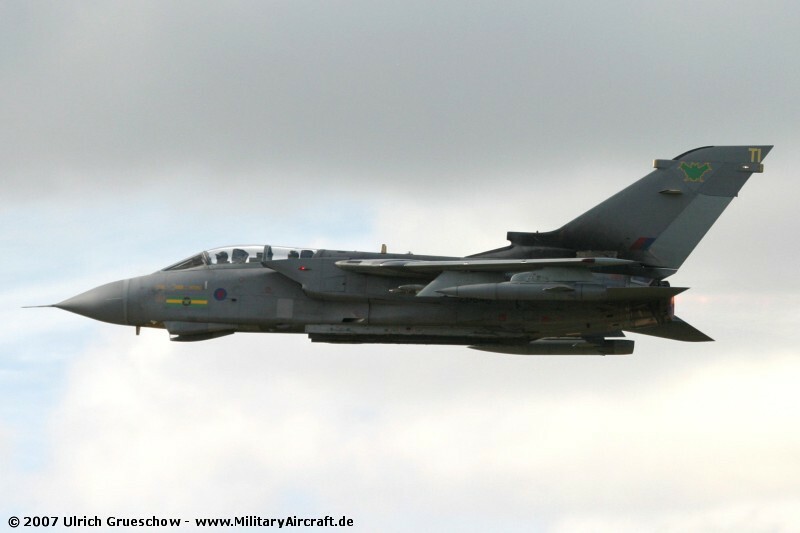 This aircraft was the last airworthy Tornado GR1 in the world when it retired in 2005. 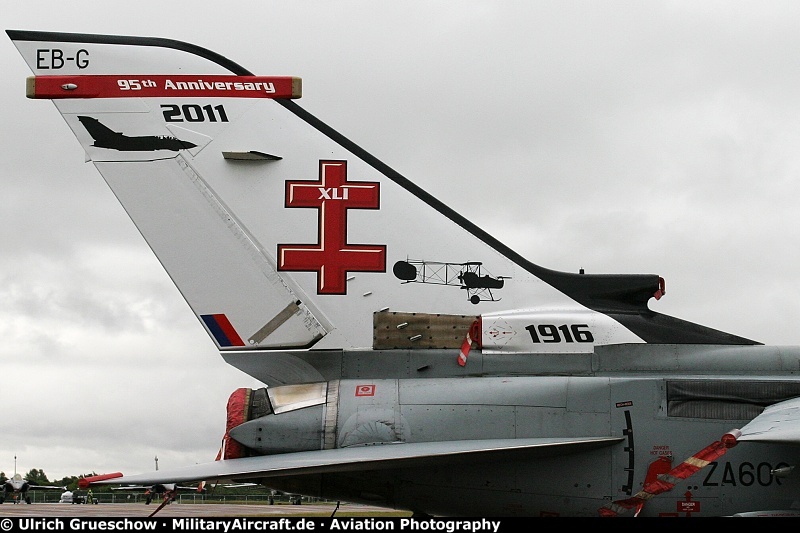 It is now preserved in the Midland Air Museum at Coventry Airport, United Kingdom.